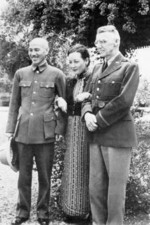 ww2dbaseSong Meiling (sometimes Soong May-ling) was born in Shanghai, China, to Methodist minister and bible publisher Yaoju Charlie Song and Kwei Twang Nyi. She was the fourth of six children. After attending Motyeire School in China, she followed her father's legacy and studied abroad at Wesleyan College and Wellesley College in the United States; Charlie Song was a graduate of Vanderbilt University in Nashville, Tennessee, United States. She graduated from Wellesley with honors in 1917 with a degree in English literature. She met Chiang Kaishek in 1920, who divorced his first wife and promised to later convert to Christianity in order to win her hand in marriage. Since the marriage, she became known as Madame Chiang. 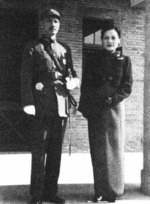 ww2dbaseUnlike most Chinese women, Madame Chiang was actively involved with Chinese politics. Aside from being her husband's translator and secretary, she was also a member of the Legislative Yuan from 1930 to 1932 then Secretary General of the Chinese Aeronautical Affairs Commission from 1936 to 1938. In the latter role, she worked actively with American aviator Claire Chennault to establish the First American Volunteer Group, better known as the "Flying Tigers", to counter Japanese aggression. "I have worked with Madam Chiang through long years of bitter defeat," said Chennault. "I believe she is one of the world's most accomplished, brilliant and determined women." Her experience in the United States also shaped her brief career as a diplomat to that country. On 18 Feb 1943 she became the first Chinese and the second woman to address the United States Congress as she attempted to persuade the American public to provide greater aid to the Chinese war effort. In Washington D.C., she met with Eleanor Roosevelt, who was also the wife of an influential leader and shared her enthusiasm in politics. Roosevelt did not have high regards for Madame Chiang's vision for the Chinese republic, however; "She can talk beautifully about democracy, but she does not know how to live democracy", Roosevelt commented. 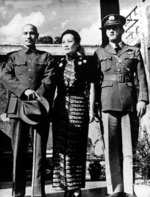 ww2dbaseMadame Chiang retreated to Taiwan with her husband's Nationalist government after Mao's Communist forces won the civil war in mainland China in 1949. In Taiwan, she continued to live a public life involved in various international humanitarian programs. 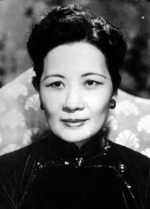 After Chiang Kaishek's death in 1975, she emigrated to Lattingtown on Long Island, New York, United States; the emigration was largely due to a bad relationship with her stepson (from Chiang's first marriage) Chiang Jinguo, who became the next president of the Republic of China at Taiwan. She returned briefly to Taiwan after Chiang Jinguo's death in 1988 and attempted to return to the political scene, but met little success. She returned to her residence in the United States. In 1995, she made a rare public appearance in Washington D.C. for celebrations of the 50th anniversary of V-J Day. In 2000 she moved to Gracie Square in New York City, where she passed away in Oct 2003. 5 Mar 1898 Song Meiling was born in Hongkou District, Shanghai, China. 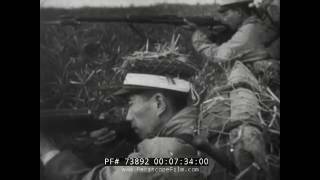 18 Feb 1943 Song Meiling addressed the House of Representatives of the United States Congress. 23 Oct 2003 Song Meiling passed away in her sleep in New York, New York, United States.